Copyright is one of those thorny issues that are always causing pain to creative types. After all, if you write something, make music, take a photograph, or in some other way create, in theory you should receive full credit (and payment). In the US this falls under title 17, which deals with “original works of authorship”, including literary, dramatic, musical, artistic, architectural, and some other intellectual works. Unfortunately, particularly with the vast free market that is the internet, it’s increasingly common for people to feel they should get everything for nothing. There are a number of issues that can arise, and below we’ll take a look at seven of these along with the best way to resolve them. Let’s get started! This is the ultimate nightmare: when someone steals your ideas, writing, music or other intellectual property and pretends that it’s theirs. People are allowed to quote a limited amount of your work, but are supposed to give full credit to you. Where you are losing out substantially, you can take the offender to court under the provisions of section 1498 of title 28. This grants temporary and final injunctions to prevent copyright infringement. Copyright is automatic, and exists from the moment of creation. A US court can also impound material (such as copies of molds or master tapes), and can order them to be destroyed. More information is available here. You may also recover damages, if your case is proved, plus any additional profits the other party has made from your work. There’s a presumption that an infringement was deliberate, but if someone who has breached copyright proves that it was unintentional, it could reduce your damages, or destroy your case. You could also be able to recover your legal fees, but this is at the court’s discretion. Note that you have to take action within five years of the breach of copyright in a criminal case, and within three years in a civil case. Under US law, the owner, manufacturer, or creator (which may not be the same person) can copy a work, create derivatives, sell, rent, lease or lend copies, and publicly perform works or musical recordings. Who owns the copyright? If you were employed by a company when you created your work, your employer usually owns the copyright. If you were working on commission or freelance, you retain copyright unless you assign it to the purchaser under a legal agreement. Always check contracts for clauses assigning copyright. Just because someone buys your work doesn’t mean they can alter, copy, or publicly display it. They should ask your permission first. The moral here is to ensure your contract terms are very clear on who owns copyright, if you would like to keep it or prevent particular uses (such as alteration). You may be happy to assign copyright to a purchaser, but be aware that this is forever. You can’t then sell the same thing to someone else; the second product would have to be substantively different. If you’re simply selling goods, such as jewellery or pottery, you automatically retain copyright. The basic design of a website is copyright, as are its contents, including text, graphics, any audio or video, HTML and other markup code, lists of websites and links, as well as any other original material. Some websites expressly forbid ‘deep’ links – links that bypass their home page – so it is best to check before doing this. Stanford has more information. If you want to share your work, are not worried about payment, but want to remain within the boundaries of copyright law and get credit for your work, you may want to investigate Creative Commons licenses. These are valid globally and are based on copyright law. The Creative Commons website asks a few simple questions, such as whether you want to allow commercial use or derivative works, to determine the sort of license you need. A credit to the creator is a fundamental part of this format. Freeware and shareware are software offered free of charge, though shareware often either restricts the software’s functions or includes a free trial time limit. Removing the restrictions or time limit would breach copyright. Even freeware (like Skype) will usually have restrictions on modification and reverse engineering. If you’re creating shareware or freeware, you can create a pre-download agreement. Many people presume copyright is a brief thing, and that copying a work created ten years ago is okay. Not so! In 1998, President Clinton signed the Sonny Bono Copyright Extension Act, which extends existing copyrights by 20 years, and brought the US into line with Europe. The basic term of protection is now the life of the creator, plus 70 years, for works created after January 1978 in the US. Work for hire has a 95-year copyright. There are different lengths of copyright for some media – 25 years for photographs and 50 years for films. This means that if you find an older piece of your work has been reproduced without your permission, you can still sue for breach of copyright. US copyright laws don’t apply to other countries, though often relevant foreign laws are similar to those in the US, as you can see from this UK website. Many countries have signed up to the Universal Copyright Convention, or the World Intellectual Property Organization Copyright Treaty, which protects computer software. Most countries have signed the earlier Berne Convention, and Wikipedia has a useful list of which countries have signed up to which agreements. For work published online, there is ongoing debate about how the “country of origin” should be defined. This legal website provides an interesting primer on how to undertake actions in other countries. Very short items are not covered by US copyright, including names, titles, brief phrases, or lists. However, you can cover some such items by use of trademarks or patents (think McDonalds’ “I’m Lovin It”). The Berne Convention allows for “fair use” of copyright works (in a ‘transformative’ way; for example, in parody, research, or news reporting). 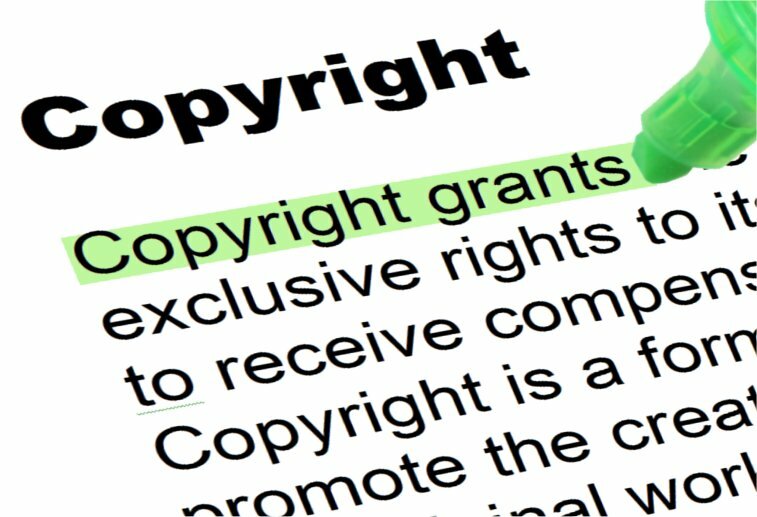 It can be a criminal offence to infringe a copyright intentionally for profit, but there are caveats (the offender has to have made a minimum of $1,000 profit, for example), so do your research carefully. Note that you have to prove intention, because that’s a critical aspect. Often, just knowing the law and warning the infringer will be sufficient to stop or end a breach. Plagiarism, which can be resolved in court. Ownership, details of which should be set out in your contract. Website content stealing, which falls under copyright law and can go to court. Creative Commons, freeware and shareware, for which you can gain protection through licenses and legal agreements. Copyright provides lifetime protection and beyond, so you can sue for breach of copyright on older pieces of work. Many other countries have strong copyright protection in place – check online for further details. There are exceptions to copyright law, but very short pieces of work can be covered by trademark or patent law. Have you ever encountered copyright problems, and how did you solve them? Let us know in the comments section below!